In a recent discussion at a business school in California, it was pointed out that the curriculum had plenty of marketing and entrepreneurship courses, plus even some innovation courses, but none on sales skills. The rationale was, “Sales gets covered in the other courses so there’s no need for a separate class.” Yet, in my 40 years of experience with over 3,000 audiences worldwide, I’ve found that sales skills are often lacking even among those with degrees in marketing. Here’s the dilemma as I’ve seen it. There is a ground swell of support right now for “startups,” “entrepreneurship,” and “innovation.” Large programs are designed and well funded to encourage people, especially youth, to innovate an idea, create a business plan and become an entrepreneur. All of this is exciting and quite encouraging to the youth but something vitally important is being overlooked. Innovative products, exciting brand ideas and new approaches to old problems are a wonderful starting place, but none of these “businesses” is likely to sustain itself without three vital ingredients: disciplined work ethic, successful selling and actual experience. Test this observation by following a reverse path on any major organization or product. Apple is a huge global success in many ways and this is due in large part to its aggressive pursuit of sales and absolute commitment to product quality. Steve Jobs was, as Tom Peters likes to say, “a monomaniac on a mission.” It would have been highly unlikely for Steve Wozniak to experience a similar level of success on his own despite the brilliance of his creations. Zappos is another popular role model but look beyond its innovative culture and explore how dedicated it has been to Tony Hseih’s discipline and sales excellence. Google is also an icon among those who hail the counter culture approach to business but study it more closely and you’ll see how the entire system reinforces itself at every level of sales contact. Its commitment to standards is equally high. Facebook is yet another icon in the startup culture but until it learned to truly sell and installed unyielding systems to sustain its culture, it too struggled. All of these “role models” had huge struggles before they acquired the needed experience and developed the discipline to become who they are today. Marketing is about identifying your potential customers and stimulating their desire to buy. Selling is about converting that desire into actual purchases. The skill sets for each are not the same. Marketing gets people’s attention and might even get them into your store but only effective sales skill will convert their interest into commitments to buy. Sales require the discipline to make contacts even when you don’t feel like it, the desire to truly understand each customer’s desires and the eloquence to describe your solutions in ways that compel people to purchase them. Ask yourself, “when is the last time you went out to buy something, located it at an agreeable price and yet you refused to buy it because you didn’t like the way the person or company was selling it to you?” For most of us that is a frequent occurrence. It needn’t be. By continually training each new worker in the skills of effective selling and practicing customer-centric, service-oriented ways of business, we can acquire a continuing flow of new clients. Great products without great selling become idle inventory. Great selling without good marketing requires too many resources and wastes potential profits. Great marketing without good selling generates demand that goes unsatisfied and ultimately spoils the market for the product. Great selling skills without solid discipline leads to unpredictable spurts of revenue but not a steady, reliable stream. Great products and great selling skills plus a disciplined work ethic will, over time, provide the real-world experience that reveals wisdom. Wisdom can lead to achievements beyond your dreams. 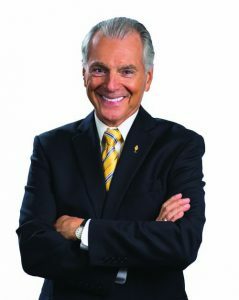 • Jim Cathcart is the founder of the Cathcart Institute in Thousand Oaks.